“Automation, Cooler & Heat Exchanger, Electrical, Instrumentation, Mechanical, Analyzers, Fabrication, Engineering Service & Training”. Villa Mutiara Bogor Sektor I Blok C1/9 Kelurahan Mekarwangi Kec. Tanah Sareal Kotamadya Bogor 16168 West Java Indonesia. Phone / Faximile : (+62 -251) 7595 433. Mobile/WhatApp : (+62) 812 9119 2569, (+62) 811 177 2569. Bekasi 17510 West Java Indonesia. Phone : (+62 -21) 8274 6125. We are here will be answer any question you may have about our experiences. Reach out to us and we will respond as soon as we can do it. Even if there is something you have always wanted to experience and can not find it in PT. 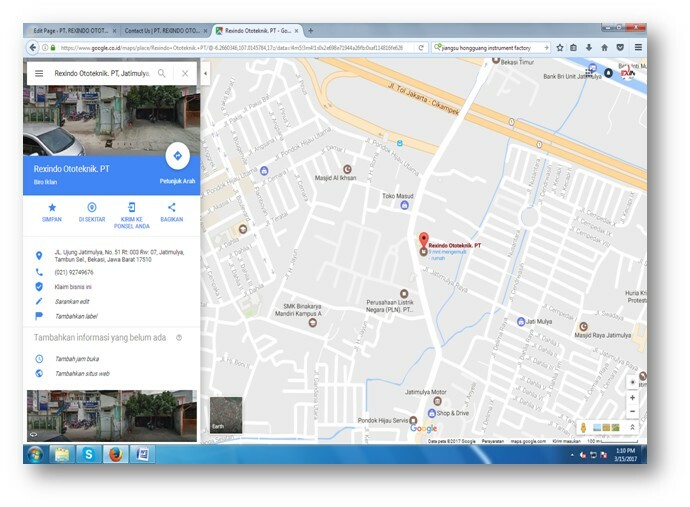 Rexindo Ototeknik, let us know and we promise we will do our best to find it for you and send you there.